In this post I will discuss, how could we create Hosted Service in Windows Azure using Windows Azure Management API? To create Hosted Service you need to perform POST operation on the below URI. You need to change subscription id with your subscription Id. Request Body must contain XML as body. 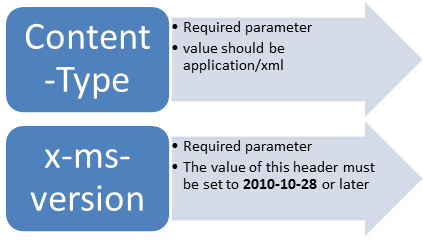 XML elements should be in the same order as mentioned below. On successful creation of the hosted service status code 201 will get returned. Response contains no body. In above function I am calling two different functions. Invoke method will perform actual HTTP request to Windows Azure portal. Below function will create payload and return as XML. LINQ to XML is being used to create payload XML. Other method used in CreateHosetdService function was Invoke.This function is used to make HTTP request to Azure portal. In this way you can create hosted service. I hope this post is useful. Thanks for reading. where is the certificate authentication to be carried out ?? and which jar has the xdocument class ?